17 day Italy and Sicily tour including return flights, accommodation, breakfast daily, in-depth sightseeing, professional tour manager and more. per person twin share |	Typically $7,014! Immerse yourself in the Italian way of life, speak like a local (or try!) 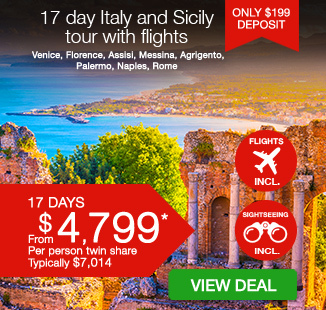 and explore unparalleled beauty with a 17 day Italy & Sicily tour. 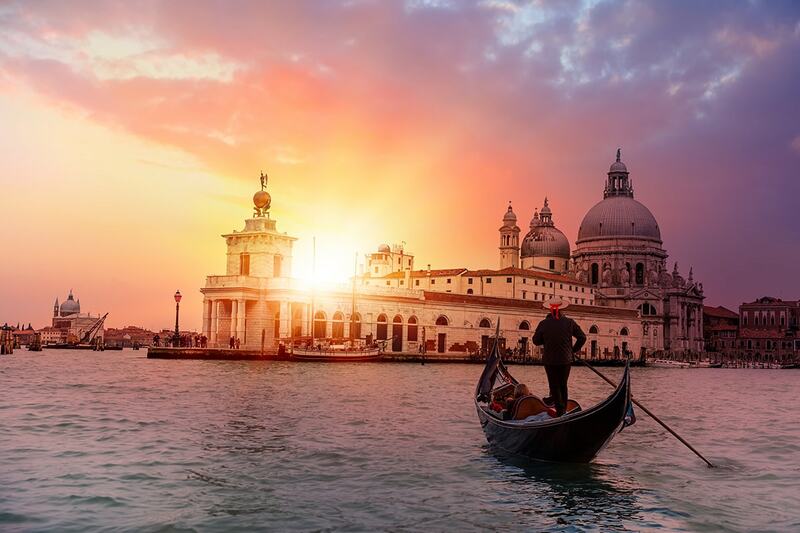 Explore the waterways of Venice, discover the UNESCO World Heritage site of Piazza del Duomo in Pisa, see the rolling hills of Umbria and learn about the history in Pompeii. 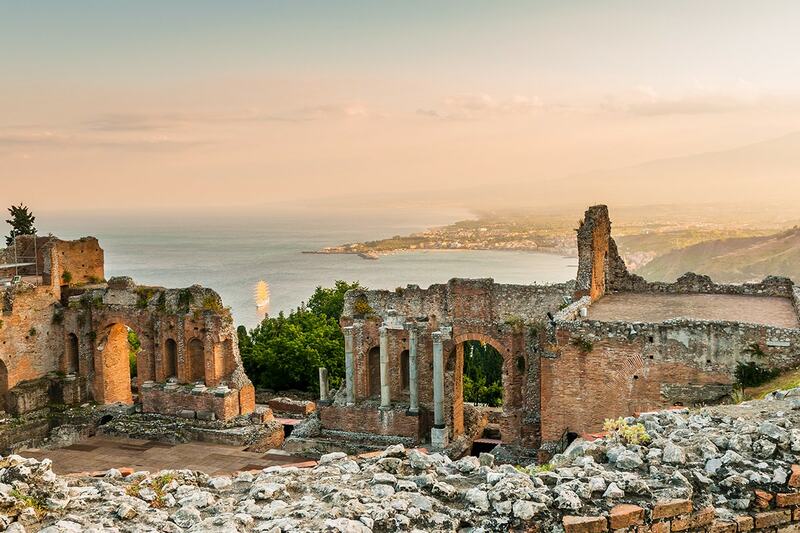 Relax in the Sicilian sun with a visit to stunning Taormina, enjoy a guided tour of capital, Palermo, wander the cobblestoned streets of Rome and so much more. Your package includes return flights, accommodation, breakfast daily, in-depth sightseeing, professional tour manager, meals and more. 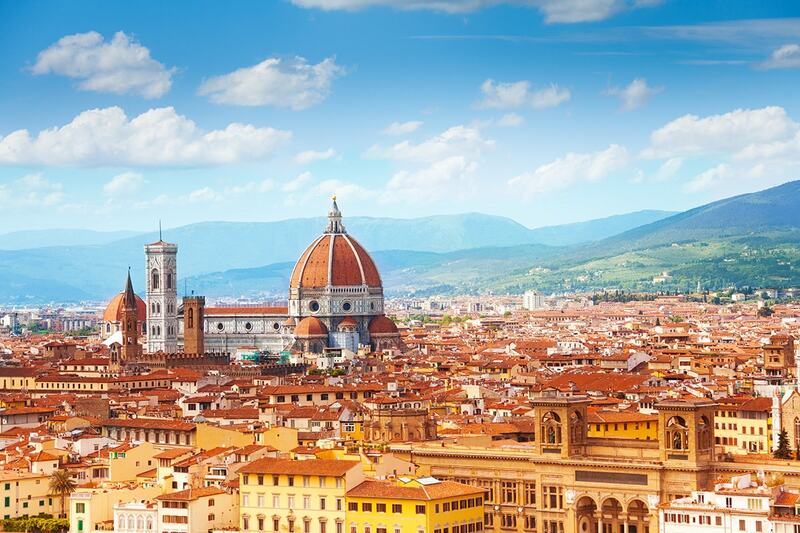 Depart Australia today to begin your tour of Italy. Today, arrive in to Venice! On arrival, please make your own way to your hotel. 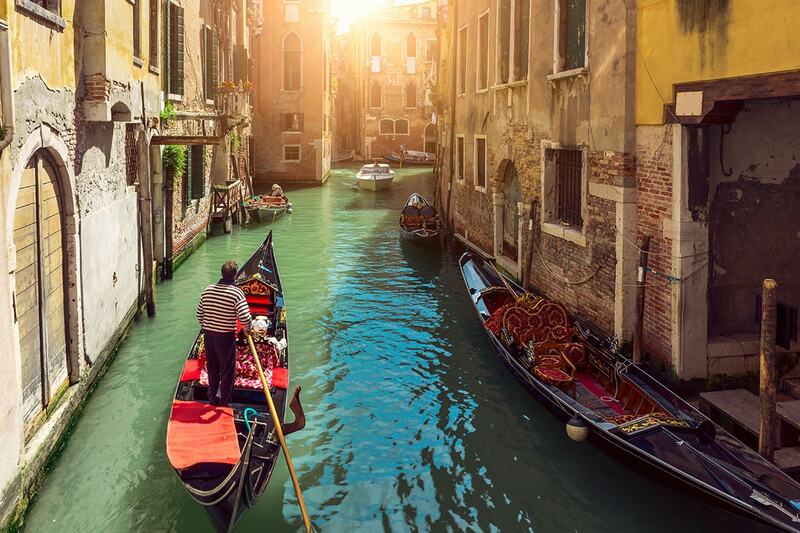 After breakfast, you will be taken on a half day guided boat tour of three of Venice’s islands where you will stop at a glass-blowing factory on Murano. Learn about the Murano glassmakers, arguably some of the most famous glass artists in the world. We then visit the Island of Burano, famous for its handcrafted lace. The first laces date back to 1500 and initially their workmanship takes place in posh houses, employing needle-and-thread without a canvass as prop. We then continue on to the sparsely populated island of Torcello. Here we visit the oldest cathedral in Venice. According to an ancient inscription, it was founded by the exarch Isaac of Ravenna in 639, when Torcello was still a rival to the young nearby settlement at Venice. 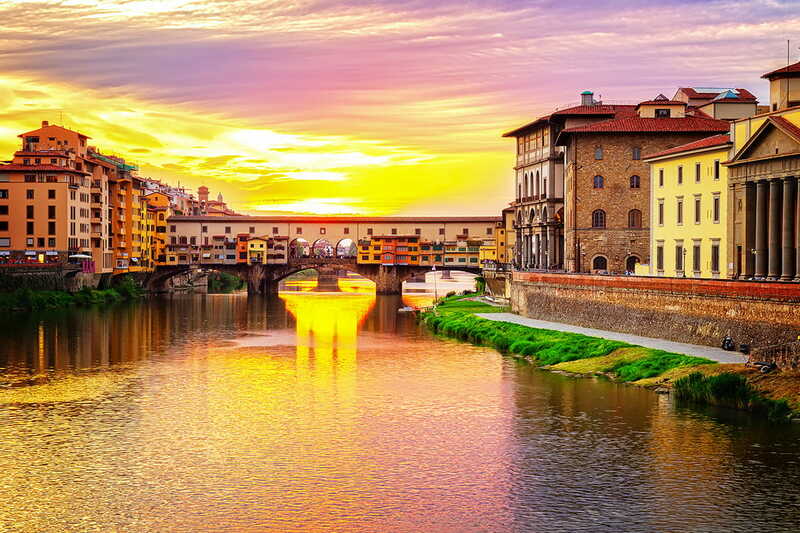 Today, travel south to Florence, a shrine to the wonders of the Renaissance, with more artistic treasures per square metre than any other city in the world! One of its most iconic sights is the Duomo, a cathedral with a terracotta-tiled dome engineered by Brunelleschi and a bell tower by Giotto. On arrival, we enjoy an exciting half day guided walking tour and after drive through a stretch of olive groves and vineyards before arriving at your hotel for check-in. After breakfast we cross the Arno Valley onto Pisa. 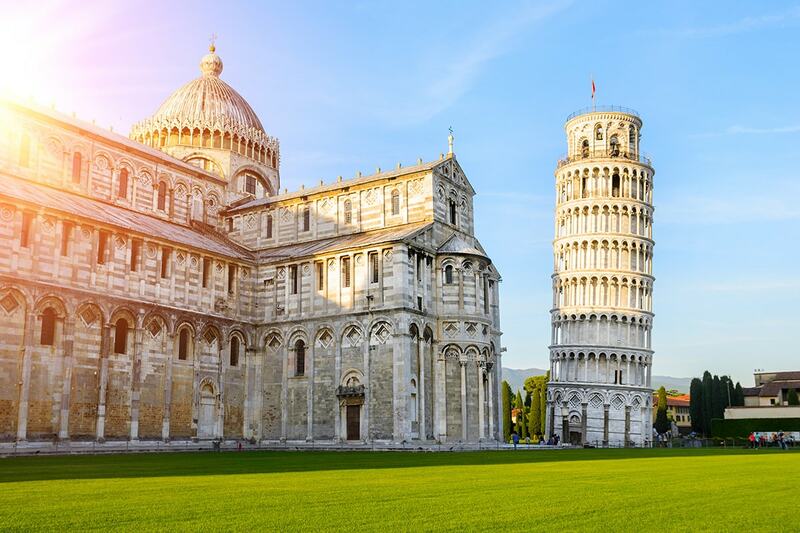 In the UNESCO World Heritage Site of Piazza del Duomo, see the famous Leaning Tower as well as the beautiful sculpted marble cathedral. Already tilting when it was completed in 1372, the 56m white-marble cylinder is the bell tower of the Romanesque, striped-marble cathedral that rises next to it in the Piazza dei Miracoli. See the Baptistery and the cemetery, according to a legend the cemetery was born around a layer of earth brought by ship from the Holy Land after a Crusade in the 12th century. Later arrive back to Florence to enjoy free time exploring the city. This morning we drive south from Florence to Umbria, the green heart of Italy known for its medieval hill towns, dense forests and local cuisine, particularly foraged truffles and wines. 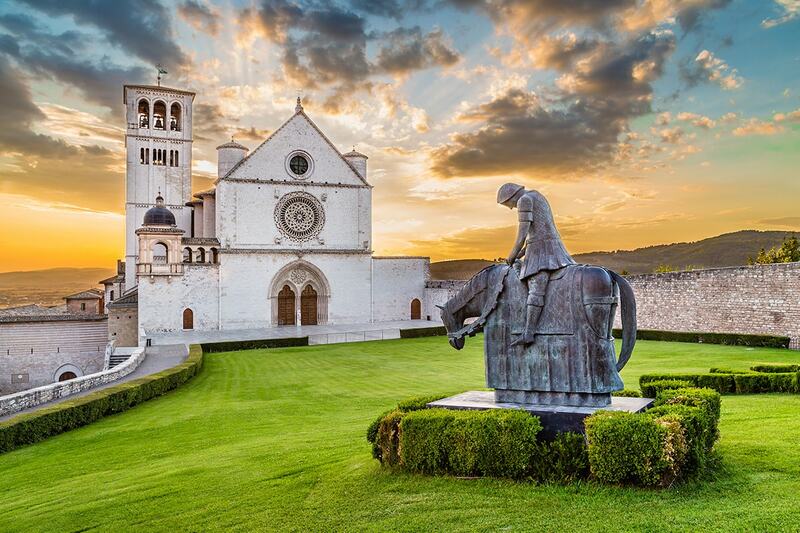 On arrival in to the spiritual city of Assisi on the slopes of Mount Subasio, we visit St. Francis’ Basilica and enjoy a walking tour with a local expert. This morning, stop at Cassino to visit the Commonwealth War Cemetery and view the Benedictine Abbey. After, we arrive into Pompeii, the affluent Roman town which was buried under tons of ash which poured down from Mount Vesuvius in AD79. Enjoy a guided tour where you can walk through the preserved remains, revealing the daily life of Roman civilisation which was captured in a few dramatic moments. You will be led through the ancient cobbled streets, houses, temples, shops and cafes by a local guide, who will impart the history of one of the world’s most fascinating archaeological experiences. We then leave Pompeii and continue our drive to the Amalfi coast before arriving in Sorrento for our overnight. 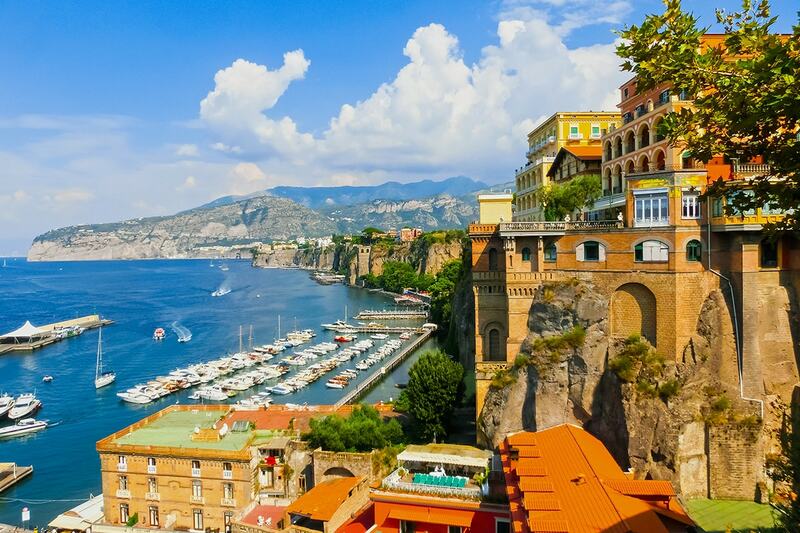 Today, enjoy a free day at leisure to enjoy the stunning Amalfi coast! Today, we leave Sorrento and drive south via Salerno before boarding a ferry at Villa San Giovanni to cross the straits of Messina to the rugged and historic island of Sicily and to the beachside resort town of Giardini Naxos near Taormina. On arrival we drive to the hotel for check in. 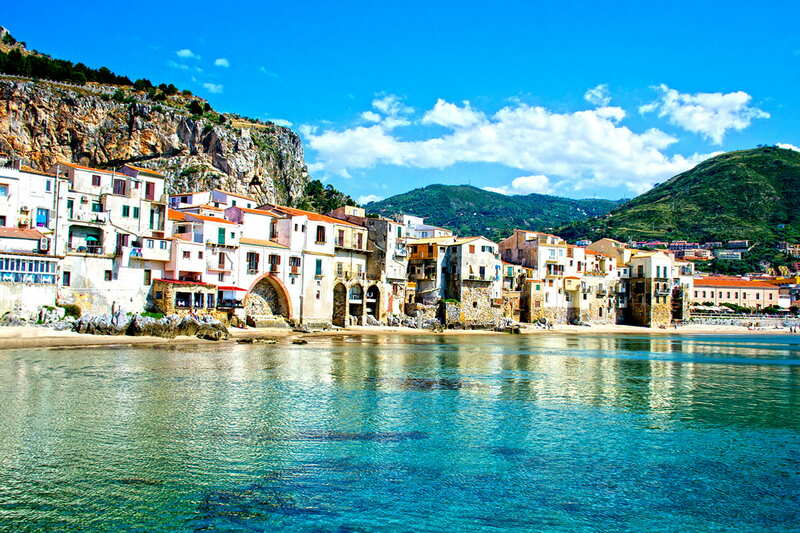 Spend the day relaxing in this fun Sicilian resort town. Perhaps swim and sunbathe or shop for handmade lace on the Corso. Consider joining an Optional Experience to Savoca, the village made famous by ‘The Godfather’, and the crater of Sicily’s active volcano, Mount Etna, widely regarded as one of the most impressive in the world (available locally). Travel through the vineyards of the southern hills towards Agrigento, a hilltop city on Sicily’s southwest shore. It’s known for the ruins of the ancient city of Akragas and the Valley of the Temples, a vast archaeological site with well-preserved Greek temples. On the modern city’s outskirts is the Museo Archeologico Regionale Agrigento, with artifacts and a telamon (giant male statue). West lies Scala dei Turchi, an unusual stepped white cliff overlooking sandy beaches. 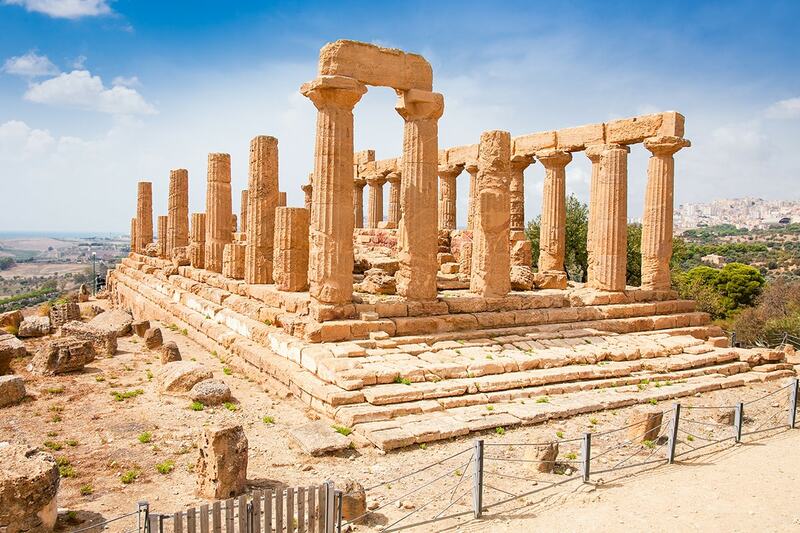 Today in Agrigento, enjoy a half day guided tour that takes you on a tour of the Valley of the Temples. This UNESCO World Heritage site is home to five ancient Greek temples dating from the 6th century BC. These are some of the grandest Grecian remains outside of Athens. After, we continue on to the city of Palermo. Palermo is the capital of the Italian island of Sicily. The 12th-century Palermo Cathedral houses royal tombs, while the huge neoclassical Teatro Massimo is known for opera performances. Also in the center are the Palazzo dei Normanni, a royal palace started in the 9th century, and the Cappella Palatina, with Byzantine mosaics. Today enjoy a half day guided tour of the capital of Sicily. Palermo delivers a heady, heavily spiced mix of Byzantine mosaics, Arabesque domes and frescoed cupolas. 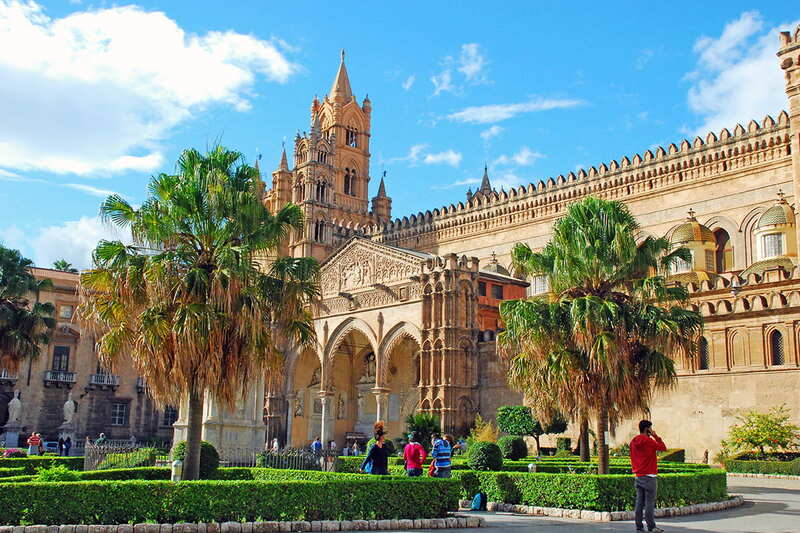 Explore the historic centre of Palermo on a walking tour led by a knowledgeable local guide. 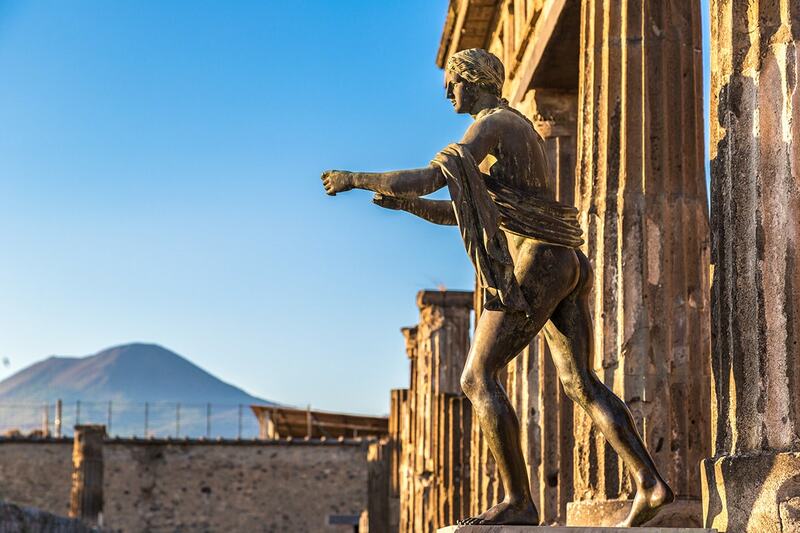 Learn about the city’s history as you see landmarks including Teatro Massimo, the Palermo Cathedral and the Royal Palace of Palermo (Palazzo dei Normanni) – part of a UNESCO World Heritage Site. Stop by the Chiesa del Gesù (Casa Professa), an elaborate 16th-century church, and view the Palazzo Pretorio (Palace of the Eagles). Stroll around the Piazza Pretoria and Piazza Bellini, and browse tempting treats in renowned food markets that offer Sicilian cuisine. 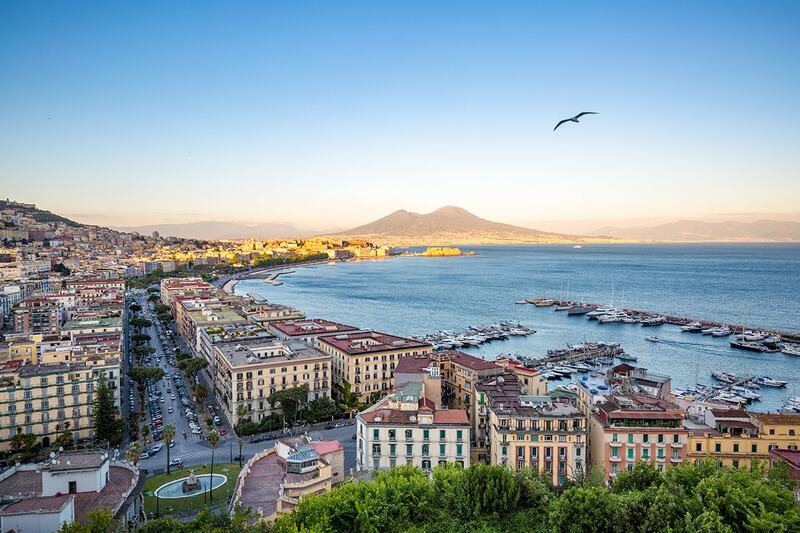 Tonight, we board an overnight ferry back to the Italian coastline of Naples. This morning we arrive into the port of Naples. After disembarking from our ferry we re-board our coach and begin the drive north to the incredible capital of Rome! We then embark on a full day tour of Italy’s historic capital city. 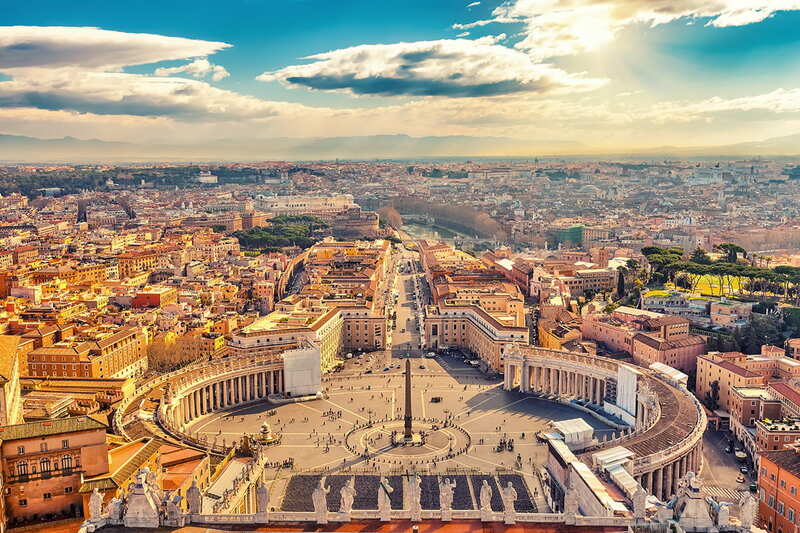 Head to the Vatican City, the smallest nation in the world! Headed by his holiness the Pope, it is the administrative and spiritual capital of Roman Catholicism. It boasts a priceless art collection and is probably per square foot the richest country in the world! Visit the Vatican Museum, one of the largest museum complexes in the world. A must see is the Sistine chapel. The most famous square of Vatican City is St. Peter’s Square with St. Peter’s Basilica, one of the largest churches in the world. 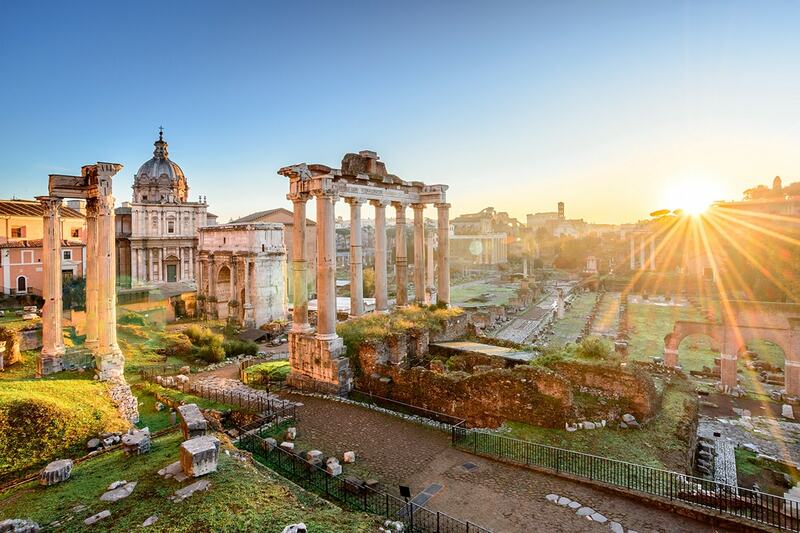 Pass the ruins of the Roman Forum and the Circus Maximus – the Hippodrome – known for its ancient chariot races, which was reconstructed by Hollywood for ‘Ben Hur’! Pay tribute to the brave Gladiators of Rome, with a photo-stop at the Colosseum. At this amphitheatre, the notorious and gory gladiatorial games were held, where they fought one another and wild animals while the crowd roared! See the triumphal Arch of Constantine, one of the most important commemorative monuments of antiquity and then drive through Piazza Venezia, the main square in Rome, where the grandiose monument to the reunification of Italy is often referred to as the Marble wedding cake! Continue the tour at the famous Trevi Fountain. Legend has it, that if you make a wish and toss a coin over your left shoulder into the fountain, you are sure to return to Rome! Today enjoy the day at leisure. Small group tour – maximum of 20 people. $1,099 per person in addition to the twin share voucher. Return economy airfares from Melbourne, Sydney or Brisbane with Lufthansa (Finnair, KLM, China Southern, Emirates or Etihad if unavailable).